Some of you may already be aware of the Financial Services Compensation Scheme (FSCS) and the latest update. However, if you haven’t heard we’ll explain what’s going on. The FSCS is in place to give security to “customers of UK authorised financial services firms”. It covers many banks, building societies and credit unions – including us. The FSCS would protect your savings should anything happen to the Credit Union, giving you added security that your savings are safe. 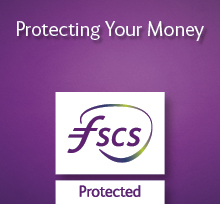 The FSCS have increased the protection limit. What this means for you is if we had to stop trading each person’s savings would be covered by the FSCS up to £85,000 as of 30th January 2017. This amount has increased from £75,000. Joint accounts are now covered up to £170,000. The Chief Executive of the FSCS explained “Increasing our limit means we’ll protect more money and more people. Our new limit will protect about 98% of the UK public. So people can be sure their money in banks, building societies and credit unions is safe.” You can read the full news update here: https://www.fscs.org.uk/news/2017/january/new-85000-deposit-limit-from-today/. Please note that this change in the FSCS limit does not affect our maximum savings limit of £40,000.